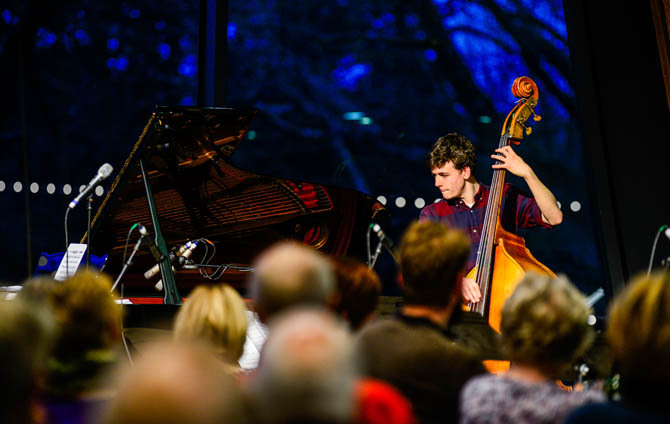 Fourth year Jazz musician, Linus Fenton, has topped the UK album chart playing on the album Cartwheels with UK country act, Ward Thomas. The album, which hit #1 on the Official UK Album Chart last week, has made chart history as the first UK Country act to reach the top spot. The album has also held the #1 place in the Country Album Chart for the past three weeks. Spot Linus on bass in Ward Thomas’ live video below. Linus has been touring with Ward Thomas over the summer, playing a number of festivals including Glastonbury. He is currently on a UK tour with the duo. More information on their success can be found on The Independent.